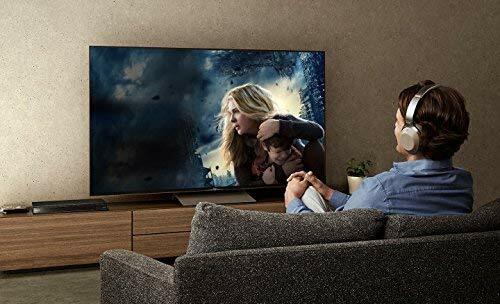 TRUE 4K ULTRA HD: Play 4K Ultra HD movies at 4x the resolution of Full HD 1080p, letting you watch your favorite scenes with a level of detail and clarity like never before. 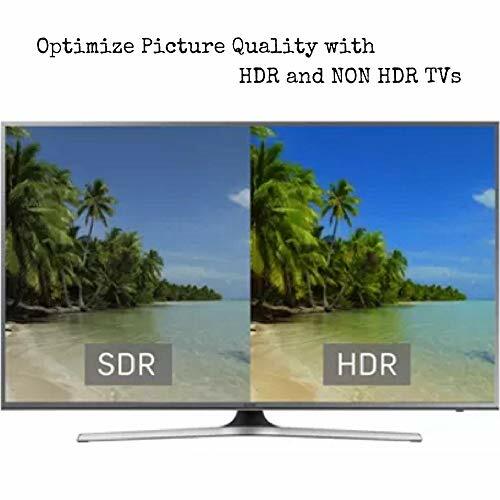 HIGH DYNAMIC RANGE CREATES A MORE REALISTIC PICTURE: HDR technology expands the contrast and color range of the existing pixels on your TV to reveal a better, brighter, more colorful image. The picture quality is noticeably more natural. HIGH-RESOLUTION AUDIO: Supports 192kHz/24 bit PCM audio file formats for a clear detailed sound. 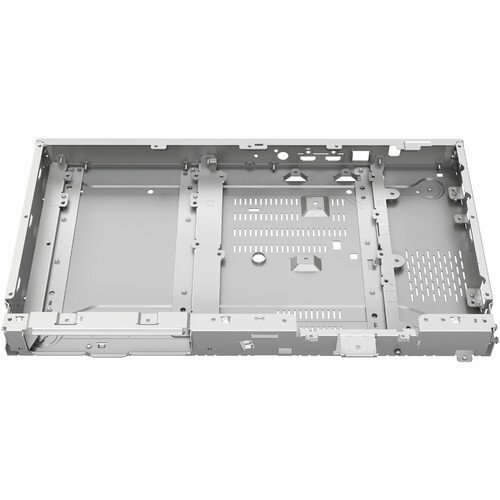 BLU-RAY PLAYER: For a high-definition movie playback with resolution up to 5 times greater than a DVD. Watch films in a stunning high definition just like you do on the big screen. BUILT-IN WI-FI AND ETHERNET CONNECTIONS: For access to streaming content and firmware updates. DLNA CAPABILITY: For wireless access to your PC content on your TV. PLAYABLE FORMATS:4K Ultra HD Blu-ray, 3D Blu-ray, Blu-ray, DVD and CDs – Including MVK, MPEG-2, MPEG-4, JPEG, AVCHD, MPO, MP3 and WMA. DOLBY ATMOS AND DTS:X: Listen as lightning cracks, sirens wail, and car horns blare all around you in a startling clarity. 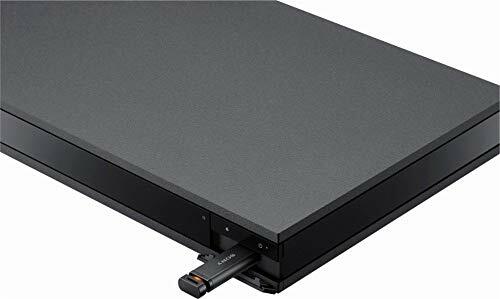 DIGITAL SOUND ENHANCEMENT ENGINE: Upscale the frequency and dynamic range of MP3s and other compressed music – and even your CDs – to near high-resolution quality, so you can get the full experience of the original recording. 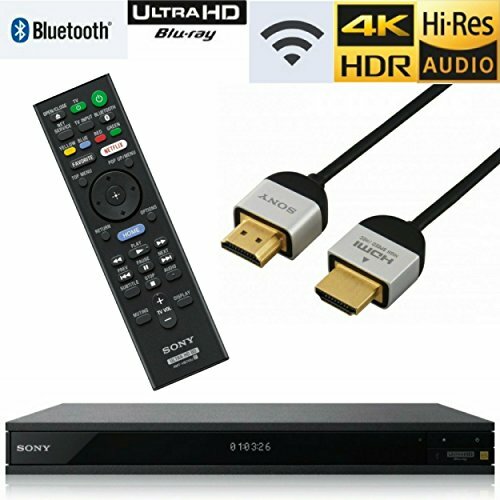 TWO HDMI OUTPUTS: High-speed HDMI cable is the only connection that can deliver a Blu-ray experience with a 4K or full 1080p picture and digital surround sound. 4K HDR TO SDR CONVERSION: Improves contrast and color for optimized playback and viewing on non-HDR TVs. BLUETOOTH AUDIO CONNECTIVITY: Enjoy private viewing with wireless headphones. 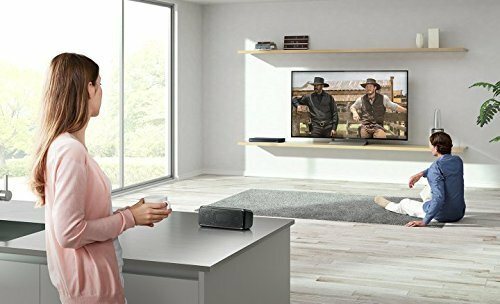 STREAM MUSIC TO DIFFERENT ROOMS: Listen to the same great song all around the house with multi-room listening.